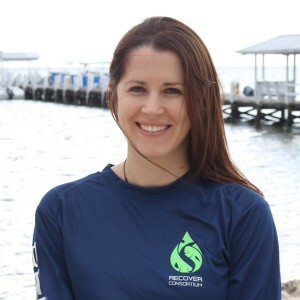 Rachael Heuer is currently a Postdoctoral Research Associate at the University of Miami Rosenstiel School of Marine and Atmospheric Science. Rachael is working with Dr. Martin Grosell and Dr. Dane Crossley (University of North Texas) in the RECOVER consortium, examining the effects of oil on heart cell function in the pelagic Mahi-mahi. In addition, Rachael examines the impacts of temperature on swim performance in Mahi-mahi. Rachael earned her BSc in Zoology in 2006 from the University of Florida and obtained her Ph.D. from the University of Miami (RSMAS) as a National Science Foundation Graduate Research Fellow, where she examined the impacts of CO2 and future projected ocean acidification on intestinal transport physiology and brain chemistry in marine fish.